This isnt the FW42 and we already have a lot more pictures of shown car in the other thread than at Scarbs. Too much diffirence to be FW41 and too little to be FW42, FW41.5? This is FW41 complying with the new regulation, or the FW42 will just be an evolution of the FW41. If this is the case, I hope that the basic concept of FW41 was not the big problem in performance. Lets wait for the real car pictures. Edited 1 time(s). Last edit at 11/02/2019 18:50 by tomazy. Actually the car shown on the video at Williams Youtube is the FW42. I has the simplyfied front brake ducts and bargeboards. The rear wing is bigger as per 2019 rules and the mirrors are more to the outside. If it helps, image brightened up. Looks like a 41.5 to me also. On that earlier pixelated photo the nose section looks a lot more angled to me. Edited 1 time(s). Last edit at 11/02/2019 20:41 by GPL. Nope. The sidepods are substantially smaller than the fw41 but with the angles available you can't see the concept very well. The bargeboards around the sidepod inlets are also completely different, with a not before seen front wing rear wing and brake ducts. The only similarity is the nose. There are even the elongated wing mounts and no boomerang horns present from the side of the chassis. This car is incredibly different to the fw41 to me. Front suspension is still the same old setup which is bothering me. Apparently a carbon fibre gearbox this year. Add. I don't think it's as big a jump as the fw40 was to the fw41, but this car has evolved more than the HAAS and the Toro Rosso we've seen (with both the renders have also been the real deal) the sidepods on this thing are tiny in the renders, I hope we see the same on track. Edited 1 time(s). Last edit at 11/02/2019 23:21 by Mikef1. Those pictures of the new car are not a FW41.5 they are pictures of a FW41.8. That car is a FW41.8. Williams has literally never done that every time they're published renders it has been the actual car when it hits the track. Yes I know and that is strange to me. Last years car was bad, and this one is weary simmilar looking. 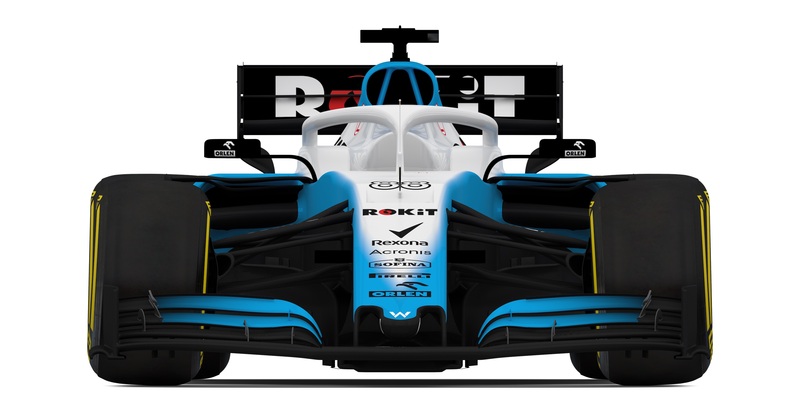 The biggest visible changes are for the rule change, so both wings and lower bargeboards, other than that, the car looks alost the same to me from the outside. Lets wait for more and better pictures. You dont see much of the sidepods aparat from the inlets in this photos tho. We Will have to wait for more pictures. I watched the video on 0.25 speed multiple times and the sidepods look almist identical to me. The biggest change I find was the packaging of the rear susspension. The part under the exhaust looks much cleaner than last year, it looks like the gearbox is lower and narrower witch woul help internal aero alot. But the video is dark, and it is not the real car. Testing cant come fast enought. Edited 1 time(s). Last edit at 13/02/2019 20:21 by tomazy. But that is the sidepod. All the way from the entry to exit is sidepods. You can tell they aren't the same bulky on top highly undercut ones from last year. You're right, you can't see a lot. But they wouldn't bother showing a proper front rear wing, new bargeboards and wing mirrors and different sidepods and cooling but not be showing the real car. I am not saying that this is not fw42, just that it looks more similar to fw41 than what I expected. But there is not enough images of the car for a poper comparison unfirtunatly.